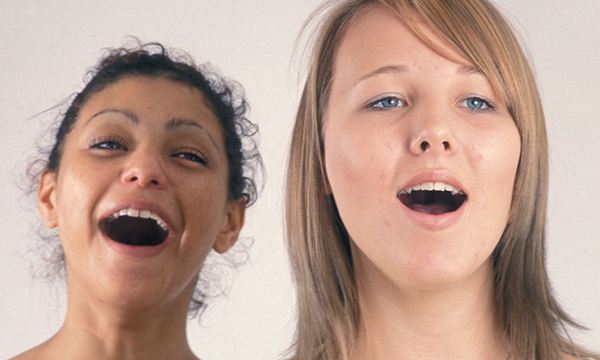 Singing in groups could help improve patients’ mental health, according to research by the University of East Anglia. Researchers followed 120 members of the Sing Your Heart Out project, based in Norfolk, for six months. The group was formed at Hellesdon psychiatric hospital in Norwich in 2005 before becoming a community-based project running four workshops a week. Researchers conducted interviews and focus groups with participants, organisers and workshop leaders. of the people attending free community singing workshops in Norfolk have had contact with mental health services. They found people who took part maintained or improved their mental health and that the combination of singing and socialising was an essential part of recovery. This is because it promoted an ongoing feeling of belonging and well-being that often lasted a day or more, as well as improved social skills and confidence. Lead researcher Tom Shakespeare of the university’s medical school said: ‘The main way that Sing Your Heart Out differs from a choir is that anyone can join in, regardless of ability. ‘The format is also different from a therapy group because there’s no pressure for anyone to discuss their condition.